In another life we lived in a modern family home abutting a large grove of old trees, a conglomeration of European and American decidious varieties interspersed with mature walnut trees. It was a remnant of old garden from a long forgotten farmhouse. As the walnuts dropped from the trees in autumn we’d collect them in baskets, allow the shells to dry then indulge in a frenzy of nut cracking and walnut gorging. Those nuts from our garden have spoilt me, no imported packaged walnut lives up to my expectations so I’m always eager for the arrival of the new season’s walnut crop from Victoria’s High Country. I’ve been on a walnut binge for the last couple of months now. As well as cracking nuts to snack on straight from the shell, I’ve made candied walnuts, walnut cake, meringues, crackers and pie. The latest indulgence fresh from my oven is delicious walnut frangipane tartlets, buttery walnut and spelt flour crust, walnut frangipane and just merest hint of chocolate hidden deep inside. I cobbled together these delicious tartlets to use up a tray of walnut pastry lined tartlet tins stored in the freezer, the pastry leftovers from the Apple Walnut Pie. The finished tartlets were terrific so this walnut lover was very happy. My oven has a setting that heats just the bottom element making it ideal for pies and tarts. It’s so effective that baking the pastry blind is unnecessary. If you are doubtful that your oven will be cook the pastry to a crisp biscuit with the filling in place, bake the tart pastry blind before adding the frangipane and rebaking. Lightly oil 2 trays of tartlets moulds or 2 dozen individual 6cm tartlet tins. Rub the butter into the flour until the mixture resembles fresh breadcrumbs. Stir in the sugar and walnuts, then add the egg. Bring the pastry together with a scraper and form into a ball. Roll the pastry out on a floured board until 2mm thick. Cut circles with a fluted cookie cutter and line the tartlet tins. Add the eggs one at a time and beat to thoroughly incorporate them into the butter mix. Put a couple of small pieces of chocolate in each tart shell. Spoon the frangipane over the chocolate. The frangipane will only swell a little in the oven, be careful not to overfill the pastry cases. Bake the tarts at 180C for about 20 minutes or until puffed, golden and firm. Allow to cool for 10 minutes in the tins before turning them onto a wire to cool. You’re right Sandra, there is a huge difference between the packaged walnuts and cracking your own straight from the shell. I’d always been a bit ho hum about walnuts, until I bought some recently from our farmer’s market – discovered that they’re really very moreish… and can imagine how beautiful in these little tarts too! Thanks Margot, the tarts were delicious. Glad you have had the priviedge of tasting walnuts fresh from the shell. I love the idea of a walnut frangipane. I’ve been toying with the idea of one made with pistachio, so you’ve given me more confidence to branch out and try nuts other than the common almond in making frangipane. Oops…hit the ? instead of a full stop. It was delicious Linda, I’ll be making this again! My idea of what desserts are in heaven. That is a really lovely sounding dish! I would love to try it soon! You have desdribed your love of the walnut beautifully Mrs R.n It reminds me of my great grandparents amazing walnut tree in Christchurch and all it’s special associated memories. These look just gorgeous and I love that they are little. They look a tad like teeny wee mince pies. These look and sound great, Sandra. I’ll bookmark this for our autumn/winter. Ohhh nothing better than having tart bases ready-to-go in your freezer! I’m in awe of your gluten-free baking prowess Sandra – your tarts look magnificent. (Oh, and the chestnut walnut meringues from your archives look amazing too)! I remember all the nuts from my childhood, including peanuts, being in shells and dad cracking them open for us. I’d forgotten how amazingly beautiful and creamy fresh walnuts were until recently, when my mum bought me a bag. Those store-bought pre-cracked fellas taste almost rancid in comparison! 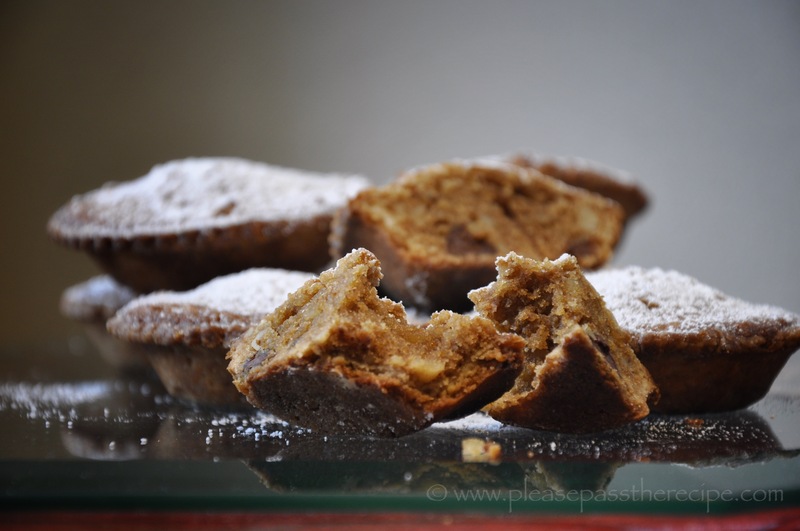 This entry was posted on July 2, 2015 by ladyredspecs in Baking, Cakes, Cookies, sweet biscuits, Desserts, FODMAP diet, Food, Sweet mouthfuls and tagged FODMAP diet, frangipane, tartlets, walnut.